Hi Taurus — Eric will soon be recording your 2016-17 video-audio birthday reading. New to Eric’s excellent birthday narratives? You can now check out last year’s reading here at no cost, or read his inspiring love letter to Taurus natives. Eric and Planet Waves will show you the beauty in you and how to let it shine. Like what you hear? Get all 12 signs or choose your individual sign. In tonight’s Planet Waves FM, I say goodbye to my friend and mentor Jonathan Cainer, the renowned and beloved British astrologer. Jonathan died unexpectedly Monday morning at his home in Yorkshire. Jonathan Cainer in his downtown London apartment. Before I go there, I cover the Beltane New Moon — that is, Friday’s New Moon at the heart of Taurus. This New Moon happens close to the Pagan high sabbath that commemorates mid-spring: the time to celebrate the goddess of love and abundance. As for Jonathan, fans around the world are grieving the loss of this one of a kind astrologer and horoscope writer. You may know me because he recruited me as his vacation stand-in back in the early 2000s. I covered his daily horoscope in the Daily Mirror and the Daily Mail about 50 times, stayed with him at his homes in Yorkshire and London, and basically learned the astrology business from him. I tell many first-hand stories, and an excellent one told to me by conceptual artist and activist Karen Barnes, who worked with Jonathan on a rather cheeky project aimed at undermining the British monarchy and spreading a message of love and peace. 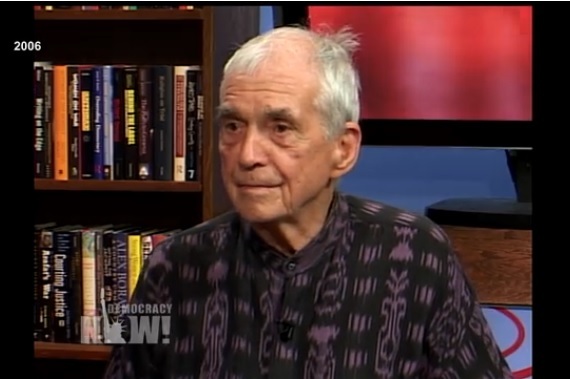 In the third segment I pay tribute to Father Daniel Berrigan, the infamous and beloved Roman Catholic priest who spend his life undermining the war machine of the American empire. Father Dan, who died over the weekend a few days short of his 95th birthday, was the person who organized burning draft records at Catonsville, Maryland in 1968, and who went into a GE facility with fellow activists and smashed a nuclear bomb with hammers. 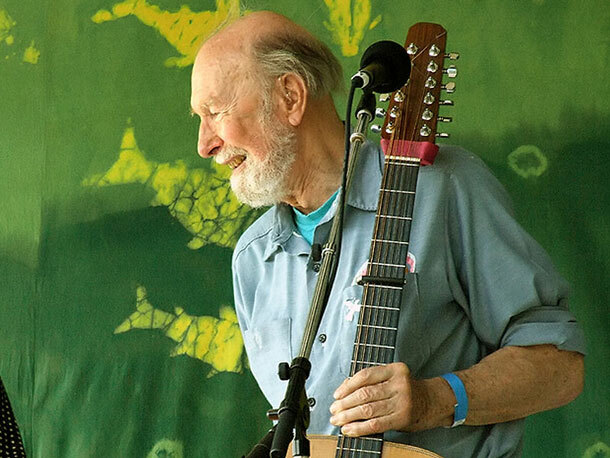 My musical guests are two of Jonathan’s favorite performers: English folk singer John Martyn, and the American perfectionists of jazz, rock and wit, Steely Dan. Planet Waves FM is a community radio project that’s part of the Pacifica Radio Network. Please support our work by becoming a member of Planet Waves.